Agent Reed Markham made his name and fame on the back of the Coben case, but his fortunes have since turned. His marriage is in shambles, his bosses think he’s washed up, and worst of all, he blew a major investigation. When Ellery calls him, he can’t help but wonder: sure, he rescued her, but was she ever truly saved? His greatest triumph is Ellery’s waking nightmare, and now both of them are about to be sucked into the past, back to the case that made them…with a killer who can’t let go…. Dark, disturbing, and relentlessly sinister–this intense thriller plumbs the darkest corners of terror, survival and psychological damage. Be warned: leave on the light! But start reading right now. A twisted story with an unforgettable protagonist and a drop-book-in-lap, sneaky twist that will make you say WOW! The Vanishing Season introduces small-town police detective Ellery Hathaway, a former child victim of an infamous sadistic psychopath. While attempting to hide the scars of past trauma, Ellery must hunt a terrifying serial killer whose methods eerily echo her former abuser’s. Is she next on his list? Schaffhausen does equal justice to Ellery’s inner and outer struggles as she keeps the plot twists coming in this gripping, compulsively readable debut. Be prepared to lose sleep. 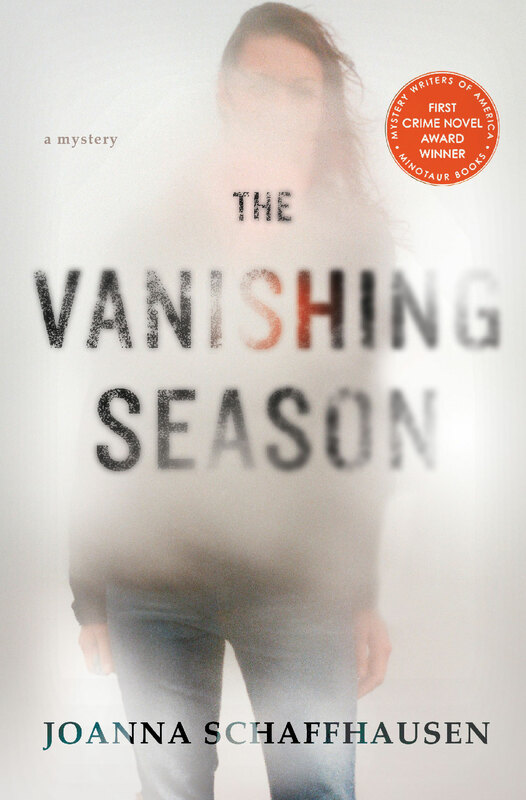 Joanna Schaffhausen’s THE VANISHING SEASON is a gripping debut with a plot twist readers won’t see coming. The main character, Ellery Hathaway, is a survivor whose grace, intelligence, and grit reminded me of Clarice Starling.